Oil on canvas landscape painting of a mountain in clouds with large lake at the foot; birch trees, rocks, and sheep. 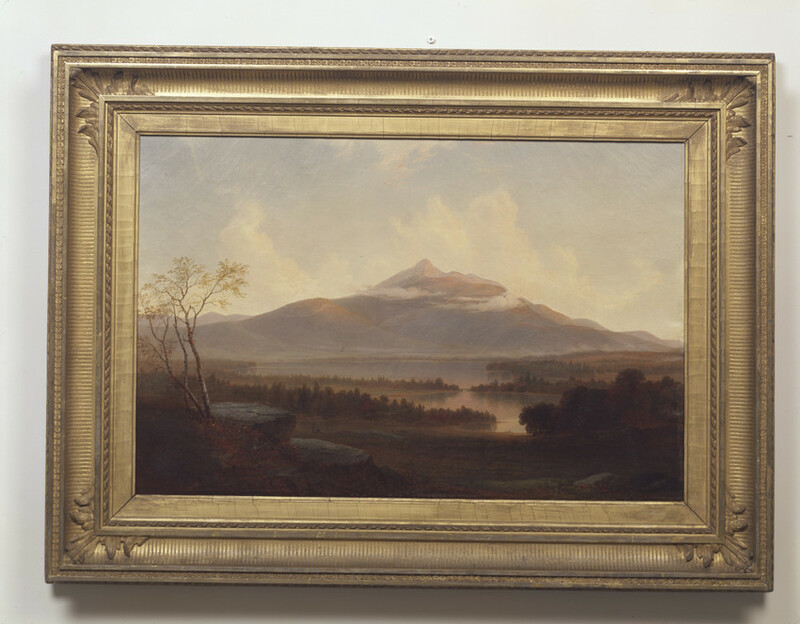 "Cherished Possessions": Mount Chocorua, named after a Pequawket chieftain who was supposedly killed at the mountain's top in a skirmish with a vengeful English settler, is in the southern reaches of the White Mountains in New Hampshire. Part of the Appalachian range, the White Mountains are so called because when the snow finally melts during the brief summer, the sun makes the gray rocks along the peaks gleam white. In the nineteenth century the White Mountains were one of New England's most popular tourist attractions.